Are you considering to register a Private limited company ? Probably, you may want to register company in Singapore because of tax exemptions. And ease of doing business that the government of Singapore provides for foreigner. We all know that registering a company is a process that should handle by expert. Like any other modern country, Singapore follows and applies requirements to open Company. acts as company registrar and supervises of registration process. Yet, there is obligations that must to discharge when starting a Singaporean business. The country has its own rules and compliance requirements for same. To start a company in Singapore as foreigner will need help from registration expert. Remember that foreigners are not allowed to do self-registration in Singapore. 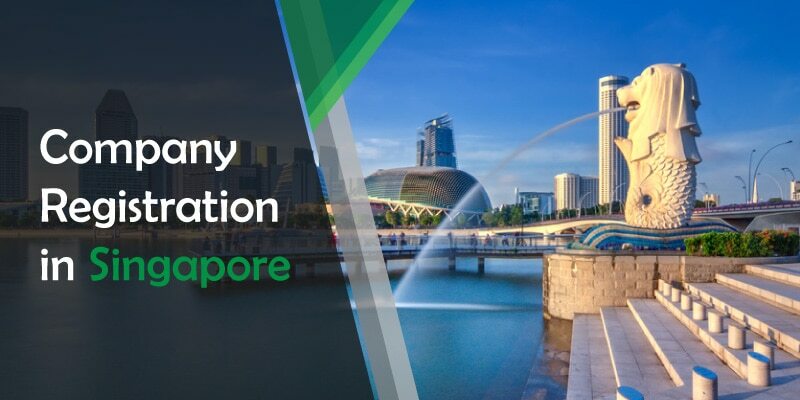 Read this guide to update knowledge on how to register a company in Singapore. 1 Cost to Register A Company in Singapore? Cost to Register A Company in Singapore? Most of us would want to start up a business in Singapore. However, an immediate question we should ask ourselves is: How much will this cost? Total amount of S$315 need to pay if you want to incorporate a private company in Singapore as ACRA. Company Name registered with ACRA (The Accounting & Corporate Regulatory Authority). Foreign companies need to submit Article of Association and Memorandum of association. Registered Address and a copy of passport for foreign entrepreneurs. Brief Description of Business Activities. Singapore residents need to give their identity card. 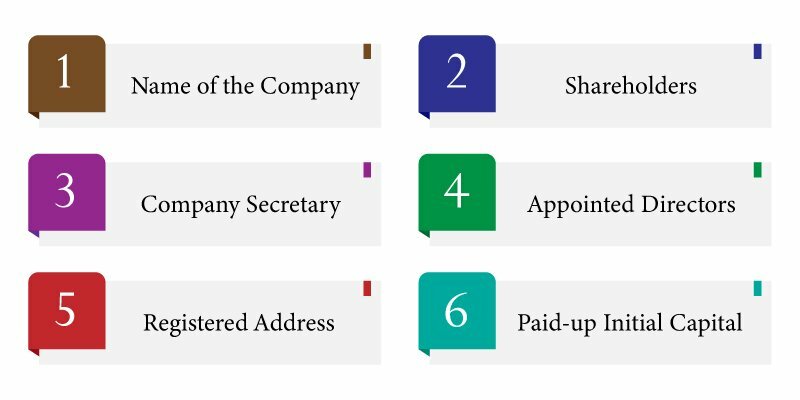 Your new company name must undergo approval before registering any business in Singapore. For a Private Limited Company in Singapore, between 1 and 50 shareholders limitation. For a private company at least 1 shareholder needed. 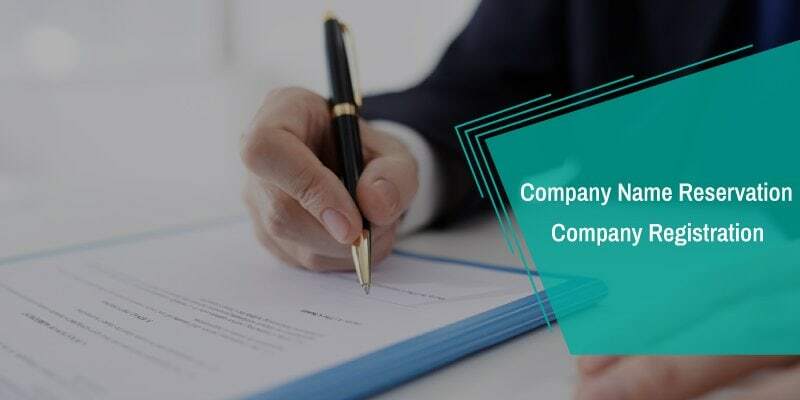 Under Section 171, of Singapore Companies Act, you have at most 6 months to appoint by company. And choose a qualified company secretary after you incorporate business. A shareholder or rather a sole director can’t become a company secretary. This person should be a resident living in Singapore. Directors are among the most important peoples in the process. At least one director needed and be a resident in Singapore. The person should be a permanent resident or a citizen. or, any person with the valid dependent or employment pass might act as director. You can choose as many directors, foreign or local, as you want. The person should be older than 18, have no bankruptcy debt and have a good and clean criminal record. Talking about the address, you need a local business address. This can be commercial or residential, but cannot be the post office box. Under Home Office Scheme, owner is permissible to conduct small entity to use residential premise. This scheme used or applies to both private and HBD properties. For your company, it must have at least 1 dollar in paid-up capital, although you may increase later. Deposit them in bank any time after the corporation. To be inform that now Singapore Registrar of Companies is wholly computerized. This is fantastic and amazing for those who want to keep red tape to at least. An agent can submit the application by an hour where Registrar can incorporate the company on the same day. Also, you do both reserving of your company’s name and registering your company. 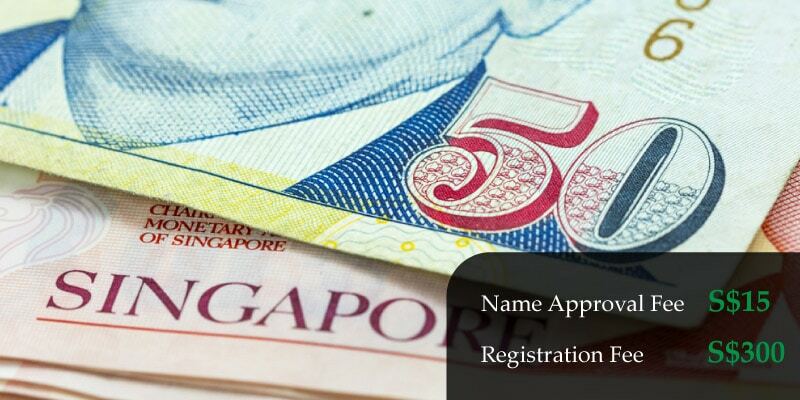 Government of Singapore through ACRA approve name of the company before registration process. The duty of Registrar to oversee this process. A registered filing agent will fill out and then submit the necessary. Relevant application forms and documents on company behalf will submit for approval. Additionally, The Company Registrar has to notify you about their decision without delay. Some certain words slow down the process including media, law, finance, and bank. The name should be meaningful, unique, devoid of the obscene and vulgar word and easy to read. Free from the copyright issues. The name must not infringe any trademark. External authority permission need if name contains like “Finance,” “Bank,” “Media,” “educational”. As second step, incorporation application will processed after name approval by few hours . The service provider will ensure all your documents are safe and in order. Also, it make sure shareholders and company directors have signed all forms, properly. Most people from other countries might find it hard at times as their application can delay. Even though this is rare, the Government Authorities needs to perform further interrogations. $300 is what you should pay the registrar of companies for her services upfront. In general, the fee is usually included by agent in Singapore Company Incorporation. After completion of registration, you will receive confirmation email along with certified copies. Certificate of incorporation is an official certificate so be preserve for future. Singapore doesn’t use paper certificate, though, for a 50 dollars fee, you can get by the Company Registrar. The processing period may take 1 to 2 days. Name of the company plus registration number. The previous name of the company. A rubber stamp specifically for your company. Company seal for your company. Share certificates for every shareholder. A register indicating all shares allotted to every shareholder. There are many outstanding banks; Standard Chartered, HSBC, OCBC, Citibank, DBS, and UOB. To have a wider choice of finest banks in Singapore, you should make an appearance. When you arrive, take to tour each bank, look and speak. It is difficult to open business account now a day with DBS. Your service provider wish your annual revenue of the company will exceed S$ 1 million. If so, you’ll need registering for Goods and Service Tax, that is as sales tax or value-added tax. After receiving your GST registration, you can continue and charge your clients. An extra 7 percent for all goods and services charge you can offer. Since you cannot keep all this money, you should hand it to the Singapore authorities. Nevertheless, if your yearly revenue is below S$ 1 million, there is no need to get GST registration. According to the law, each Singapore-incorporated company need to fulfill annual filing requirements. So as on stay compliant and adhere to the law of SG. The filling of annual returns is usually done one month after the date of the Company’s AGM. All companies operating in Singapore must maintain all the accounting books appropriately. Every accounts, ledger, B/S, Loss, Payable must maintain on a timely basis. Company’s tax filling dates are 15th December (electronic ) and 30th November, paper-filling. 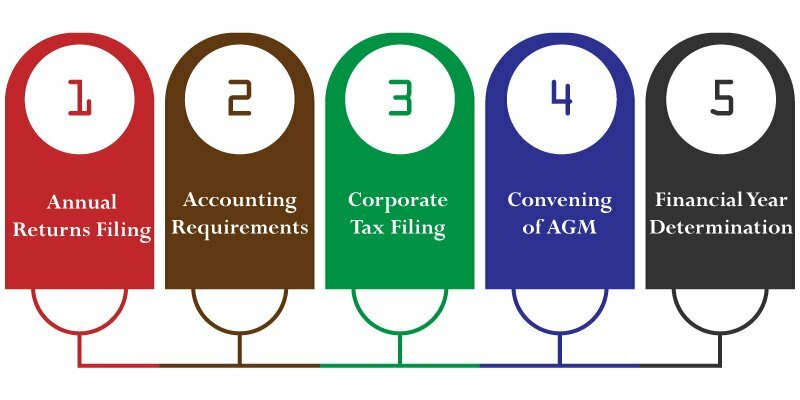 For every company, it is mandatory to hold an Annual General Meeting every year. This is where the financial statements placed & discussed for shareholder’s approval. In Singapore, every company is free to examine its financial year. It is not fixed of financial year should starts from January to December cycle. The accounting cycle can begin in any month. Termination process is always complicated. Administrative and Incorporation cost are high. A strict code of conduct. As the demand for Singapore Company continues to accelerate, more foreigners are coming. As seen Company Registration Singapore is attracting much interest from every corner. This is because the company registration process looks easier compared to other nations. To ensure the growth of new businesses, they usually offer tax incentives and schemes. When setting up any company, it is advisable to engage the correct team that will assist you. In Singapore, they offer a suitable and affordable package. Whether you’re a foreign entrepreneur with or without relocation, they will help you. Also, if you’re a local entrepreneur, the process will be even simpler for you. All you need is an excellent criminal record and free from bankruptcy. It’s your time to diversify and make an informed decision. Everybody has a dream to become a business owner, but in Singapore, your goals will be achieved.